Left to right: Executive members of the Alliance For Change, Audwin Rutherford, party Chairman Khemraj Ramjattan, Catherine Hughes, David Patterson and party Leader, Raphael Trotman. The Alliance For Change (AFC) on Saturday decided to begin campaigning for local government elections expected to be held during the last quarter of this year, but there is no agreement yet with A Partnership for National Unity (APNU) on contesting jointly, party sources said. “The negotiations with Coalition partner A Partnership for National Unity (APNU) with regard to contesting the LGE on a joint platform will continue,” the party later said in a statement. Party Chairman, Khemraj Ramjattan declined to comment on the actual outcome of the talks that were held at the Amerindian Village complex, Sophia Exhibition Site before an official party statement is issued, but said he was pleased with the outcome. “It was fantastic what we had… the quality of the decision-making and the decision itself,” he said when asked how he would describe the meeting. Party insiders said former AFC Chairman, Nigel Hughes delivered a 15-minute presentation on his perspectives for the party’s preparedness for local government elections. Efforts to contact Hughes were not immediately successful. The Party, having already commenced its Local Govt Elections campaign, has started with the identification of candidates in each Municipality and Neighbourhood Democratic Council. The AFC explained in its statement that the National Executive Committee meeting mapped out a pre-campaign plan of action and the broad outlines of strategic plans for the campaigns in each of the nine administrative regions in which LGE will be contested. The processes for identifying candidates, issues of concerns to citizens, campaign structure, methodologies, organization and funding and other matters were discussed. Senior AFC sources said that party could not await an agreement with APNU before starting its campaign. 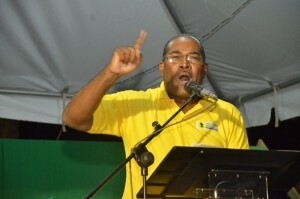 A major sticking point in the talks, a source said, was APNU’s insistence that the two political organisations campaign separately and then they divide the seats based on the results. However, some AFC executives believe that if they contest the local government elections that would automatically constrain the party representatives from being outspoken on certain issues if a decision is taken that nothing should be said or they should stick to one position. A number of AFC executives are also said to believe that their party would perform better in Georgetown if they contest separately. AFC has been stridently objecting to the metered parking contract between City Hall and Smart City Solutions, citing an absence of transparency. That party and APNU have also been at odds over the softening of penalties for the possession of small amounts of marijuana for recreational or religious use. 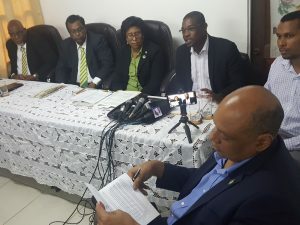 In the 2016 local government election, AFC had complained bitterly that APNU did not respect the 60-40 formula that was used for the 2015 general elections even as a gentleman’s agreement, and essentially wanted to dominate the process.